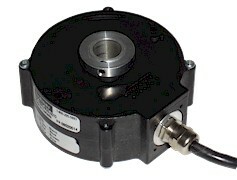 Clamp encoder to shaft and use torque arm to prevent rotation. Hook up encoder with the connections as described. Make sure power supply meets specification.